Like ‘design’ and ‘quality’, the term ‘customer success’ is wonderfully ambiguous – is it an outcome? is it a job? is it a department? is it a business strategy? Of course, the answer is yes to all those questions. However, my position is that customer success is a comprehensive business strategy for recurring revenue businesses. Mastering customer success is necessary to deliver high-growth and robust profits. I was excited to see that there were a number of great posts on this topic recently. So let’s dive into Customer Success as a core business strategy. Today, the value of technology is measured based on how effectively it can be consumed to automate and augment an organization’s business processes and deliver a desired outcome. This new consumption-driven economy coupled with the plethora of available technology options, empowers customers to look at Cloud products through the lens of business results. Their purchasing behavior has changed and vendors need to adjust their sales and marketing approach and provide customers with services that guide them through every stage of the customer journey to help them make the right decisions. Vendors, therefore, will need to put customer front and center, develop the capability to understand how customers use their product, and tailor their service offerings to deliver business outcomes that matter to them. Companies that focus on customer success will achieve higher up-sell/cross-sell revenue and lower churn rates, positioning themselves for sustained, profitable growth in today’s consumption-driven economy. Really, What is Customer Success? SaaS mega-guru Lincoln Murphy put together the definitive guide to customer success. If you want to understand why customer success is so strategic, you’ll want to read the entire article, Customer Success: The Definitive Guide. Here’s my attempt to define: Customer Success – a proactive, holistic, and organization-level approach that leverages technology and real-enough-time visibility into customer health (not just usage data, but any contextual inputs) to ensure your customers – including those who directly use (users, administrators, etc.) and those who benefit from the use of your product – continually and increasingly receive value from your product over the course of their lifetime as a customer. Customer Success defined at a conceptual level like that is great, but what does it actually mean, at a tactical execution level? Read the article. It is excellent! Customer Success = Revenue. Period. Even the growth hackers are catching Customer Success fever. Nicole Elisabeth Demere wrote a comprehensive piece called Customer Success Has a Quantifiable Impact on Revenue. Good relationships have business value. 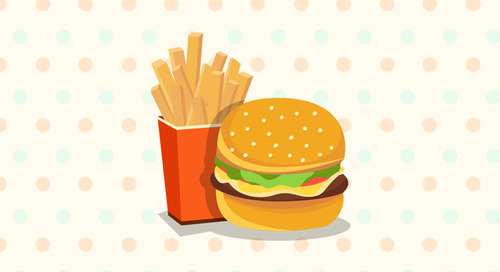 A customer that is happy with your products is a loyal customer. Revenue uplift due to customer loyalty can be quantified, which is the basis for Customer Success Management. As well, good relationships help reduce costs. Because managing customer relationships has a quantifiable revenue impact, businesses are now investing in Customer Success. Kira Talent – Online Talent Assessment Tool raised $1.2M Venture round on March 11, 2015. InsideSales.com – Predictive Analytics for Sales vendor raised $60M Series ‘D’ Round on March 18, 2015. Help Scout – Simple Help Desk for Small Business vendor raised $30 Million Series ‘B’ on March 18, 2015. Fundbox – Cash Flow Analytics vendor raised $40 Million Series ‘B’ on March 19, 2015. Ugly Email – Gmail Extension To Check If Email Is Being Tracked. Receipt Builder 2.0 – The easiest way to build beautiful email receipts. Screenful – Visualize your project progress on large screens. Attach – Lead Gen and Analytics for your presentations and pdfs. What is the best way to calculate churn?. The best – and smartest – practices for calculating churn. 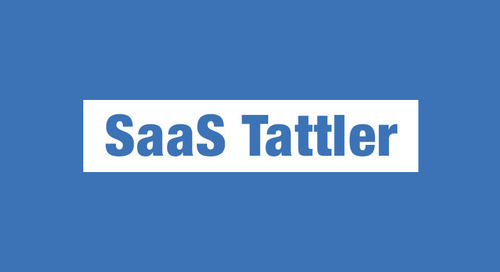 #SaaS Tattler - #CustomerSuccess is Strategic w/ articles by @orazavi, @lincolnmurphy and more! Up yours, Customer Success Managers. Hey, I’m referring to Upselling!